The Glass Cup With Metal Handles And lid On Plinth is a unique modern take on an awards cup. 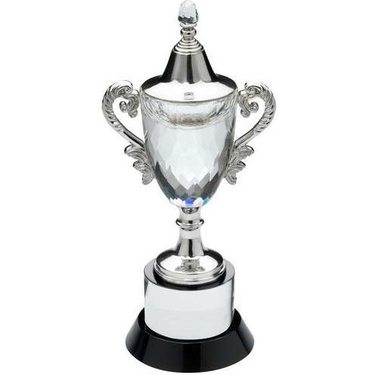 The glass cup gives this award an extra tough of class that would impress at any event or awards ceremony. This award comes in three sizes and can be engraved on the plinth.